Rep. 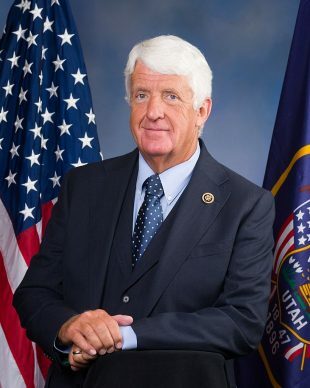 Rob Bishop will maintain his seat in Utah’s 1st Congressional District. Election data shows a sizable advantage for Bishop, who consistently held a large lead over Democratic challenger Lee Castillo leading up to Election Day. Utah’s District 1 represents one of the most heavily Republican areas in the country, and Castillo faced staunch opposition out of the gate. Castillo and Bishop held differing views on several issues, including public lands, medical marijuana and immigration. Each of those topics was hotly debated amongst Utahns this election cycle, and their stances were often on opposite sides of the political spectrum. Read on to review each candidate’s positions on these issues. Public lands dispute was a large talking point for both Bishop and Castillo. Both candidates called the issue “protecting Utah lands” but each had different takes on the issue. Castillo favored federal government having control over some lands in Utah, as long as the native people get a say. Bishop opposed the view of too much federal control of Utah lands. “I continue to push my Public Lands Initiative to bring more local control and resolution to Utah’s public land disputes. Last Congress, the House passed my bill which would change the way the President designates national monuments that lock up so much of our land,” Bishop said on his website, referring to the bill that allowed Bears Ears to be declassified as a National Monument. Proposition 2 was also on the ballot this year, fueling Utahns’ urge for a stance on the topic of medicinal marijuana from candidates. Bishop didn’t make clear his stance on whether or not he supported Prop 2. In the past, he has introduced bills calling for easier access to medical research on marijuana.